The Oregon Dept. of Forestry issued this news release today. Today the Oregon Department of Forestry conducted a prescribed burn on a 116-acre site on the Tillamook State Forest near Browns Camp in the Highway 6 corridor. The burn aimed to remove woody debris that remained after the recent completion of the Fighting Phellini Timber Sale. ODF workers lit the controlled fire via aerial ignition at 10 a.m. The firing, conducted by a helicopter, concluded around noon. Department fire engines are standing by at the site, along with four hand crews from the South Fork Forest Camp, to ensure the burn does not escape the designated boundaries. The name of the timber sale refers to Phellinus weirii, a disease commonly known as Laminated Root Rot, which afflicts Douglas-fir and other tree species. The broadcast burn is consuming logging slash and debris deemed unmarketable due to damage from the disease. ODF will replant the site with alder trees, which are immune to Laminated Root Rot. The large burn understandably generated concern among local residents, she said. Ehnle thanked local 911 centers and fire departments for fielding and answering numerous calls from the public. 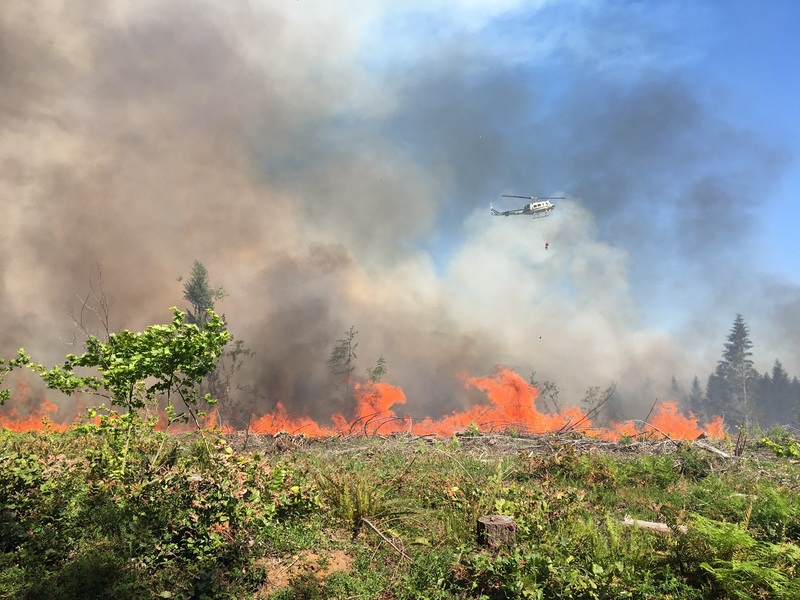 In addition to renovating the harvested site for replanting young trees, the burn operation provided a training opportunity for ODF personnel that are involved in fighting wildfire during the summer. effecting the standing timber surrounding the broadcast burn. 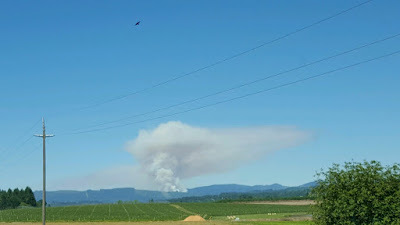 Ignition has begun, here is a look at the smoke column it is producing. Forest Grove District is planning a broadcast burn for 5/11/16, south of Rogers Camp on the Highway 6 corridor. ODF personnel as well as South Fork Crews will be assisting with the controlled aerial ignited burn. Ignition is planned for 8:30 AM.